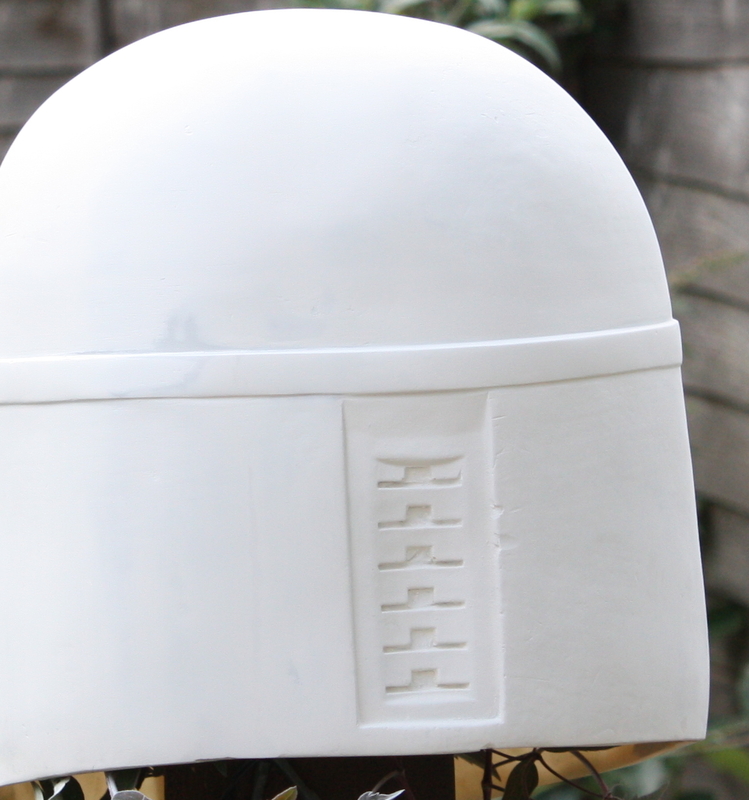 Boba Fett Helmet ESB Build Part 2. 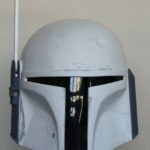 Here’s the second part of turning a cast of the Boba Fett Pre production 2 helmet into the Boba Fett ESB Hero helmet. 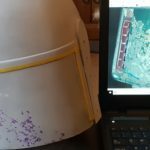 In the first post we removed the ears from the original early cast of the PP2 helmet and created the flat ear platforms upon which the ears will later be mounted. 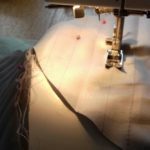 In this installment we’re going to try to deal with some of the issues particular to the left rear quarter that are as a result of the cut repair and misalligment of the repaired mould as detailed in the PP2 buck post. 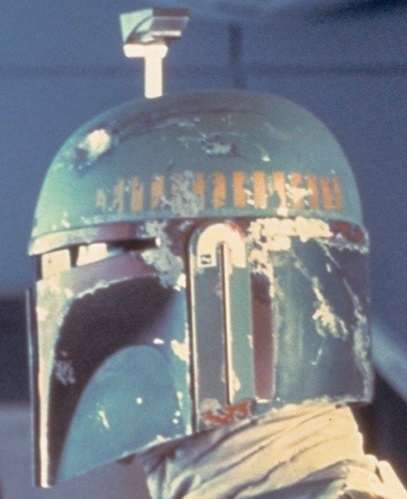 The Boba helmet is asymetrical and the left side of the dome is less rounded than the right side. 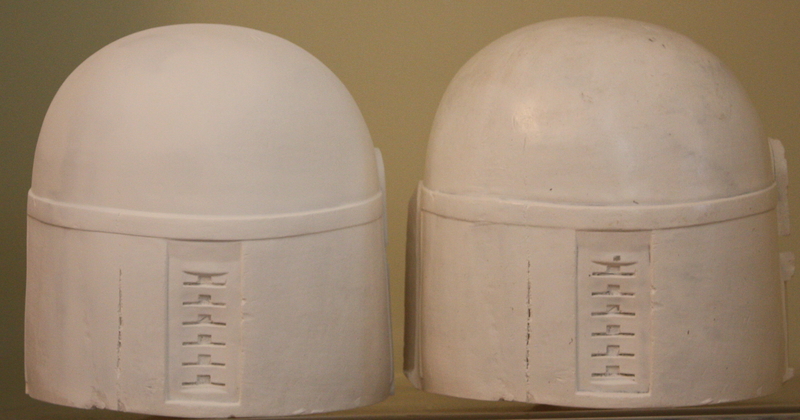 When the original PP2 helmet was removed from the mould it had become locked in and had to be cut out. This cutting out damaged the mould. When the mould was repaired it was not realligned properly. The easiest way to spot evidence of this is to look at the orbital band in this area where it is very wonky. 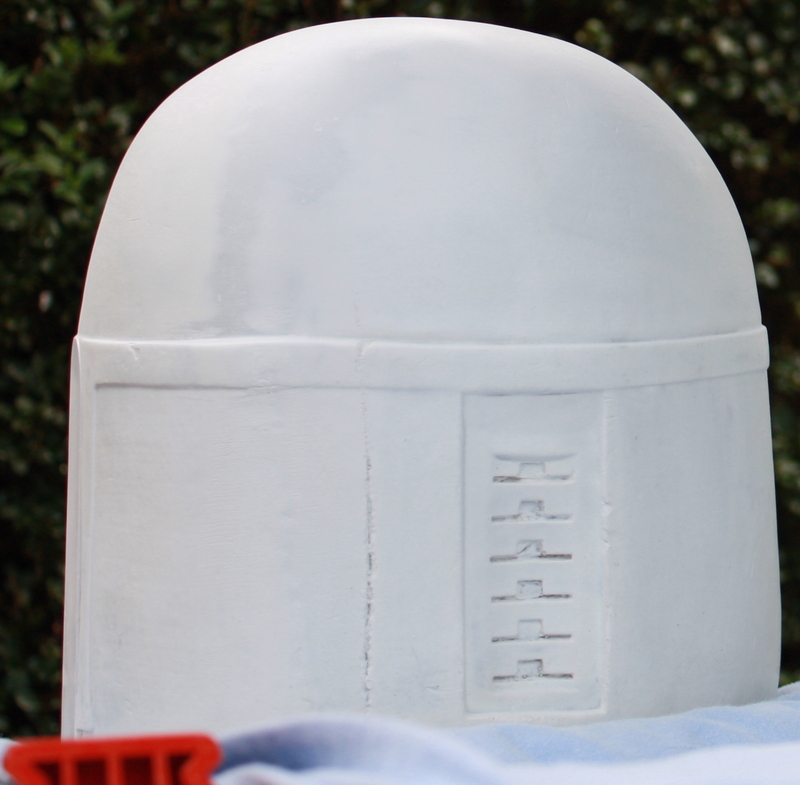 Once the PP2 Buck was removed from the mould (it also had to be cut out as it had become locked in) additional material was applied to the left rear dome to smooth out some of the misallignment damage. It was not done very well. 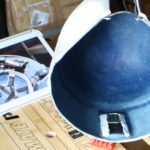 This is another area of major surgery in restoring the overall shape of the helmet; many hours were spent poring over photo’s of all of all the production helmets in concert with a lengthy period of looking over the best other source that exists in the form of the Master Replicas helmet, itself a digital cast of the ‘Pre Production 3’ helmet. I’ll not claim there’s anything overly scientific going on here… at the end of the day I had to eyeball it. The rear left quarter dome distortion is best seen on the pictures of the original PP2 buck as the dark colouring provides better contrast. 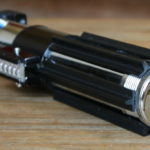 In several of the below shots the cast being altered is shown next to the unaltered cast for reference in order to demonstrate exactly what is being changed. 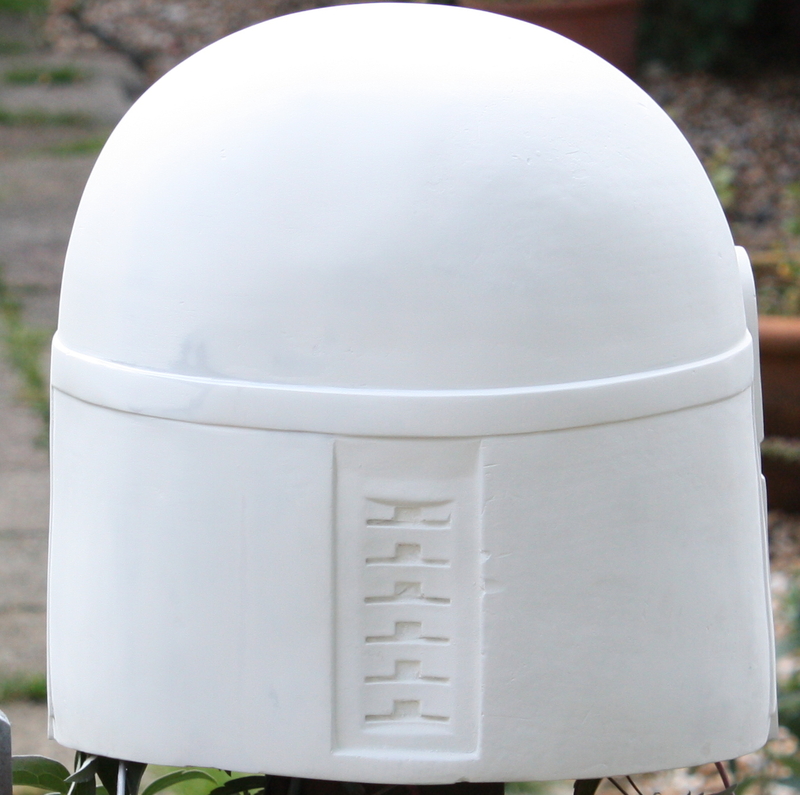 Following advice from a friend I altered this area using a cork sanding block with some very fine grit sandpaper wrapped around it and simply sanded across the dome repair and ground down the distortion; many, many hours of sanding went into this. 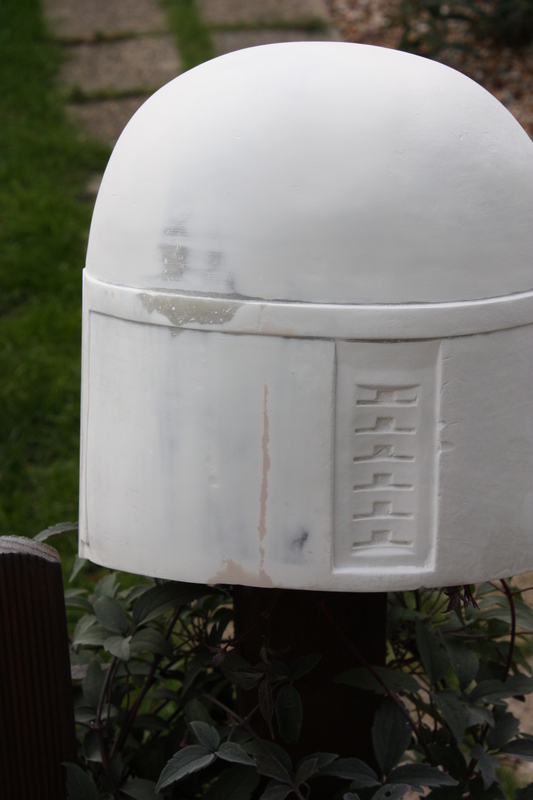 You can see the sanded areas in the above shots where the material appears to be darker running vertically. 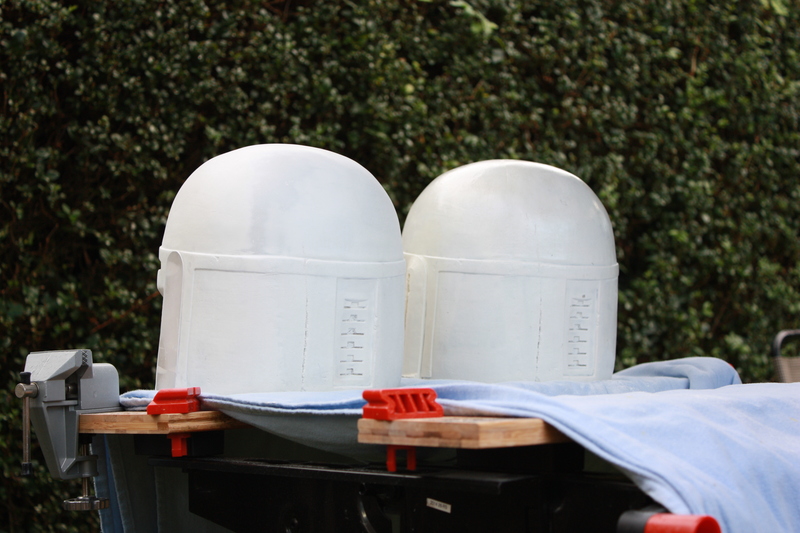 In these shots you can see the very earliest work on the orbital band and trying to even it out. 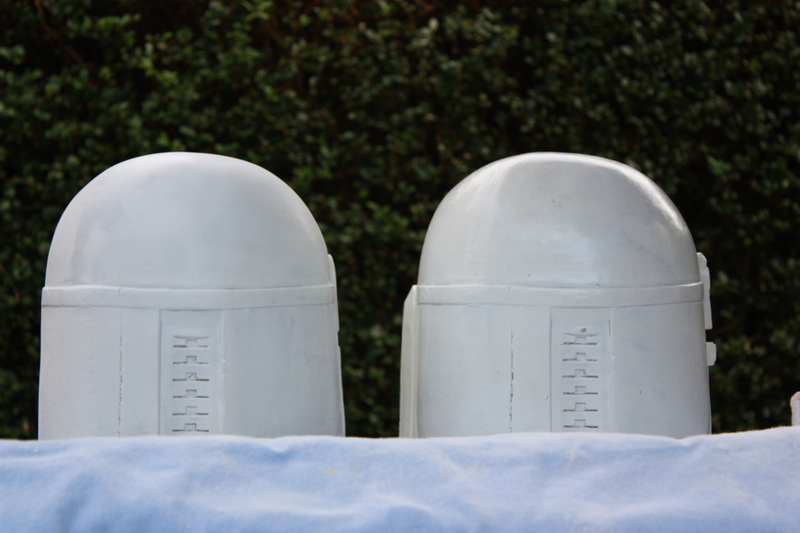 As I was sanding heavily in this area anyway and knew I would have to add material to the even out the misallignment also present in the left rear back panel I also chose to fill the gouge mark at this time; the gouge mark was created when the PP2 buck was cut from the original mould. With that done some more aggressive work was done in the whole area from, dome, to band, to panel. 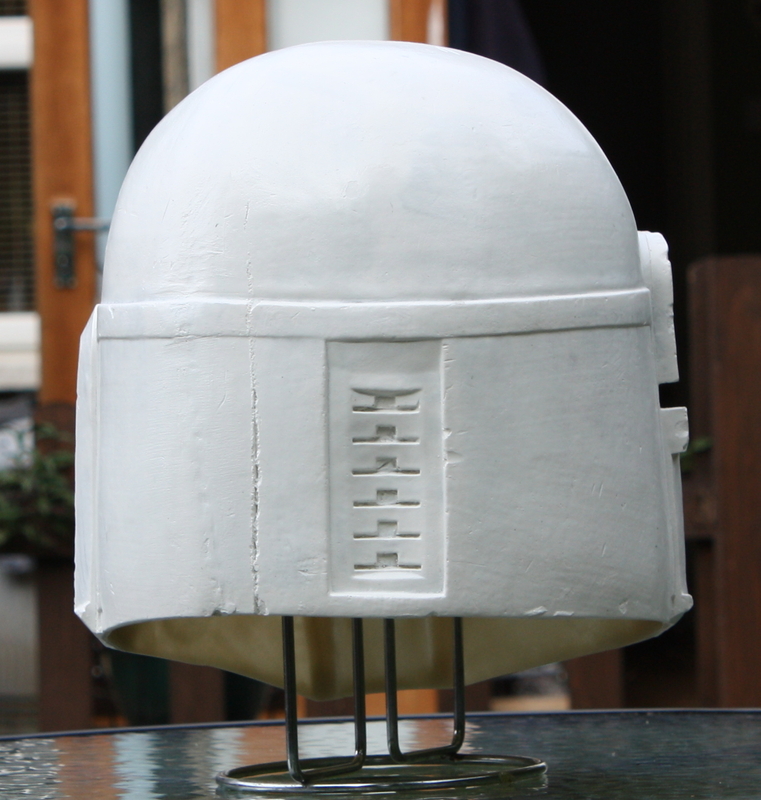 I also worked out the mould sag that is present around the orbital band across the central part of the back of the helmet. 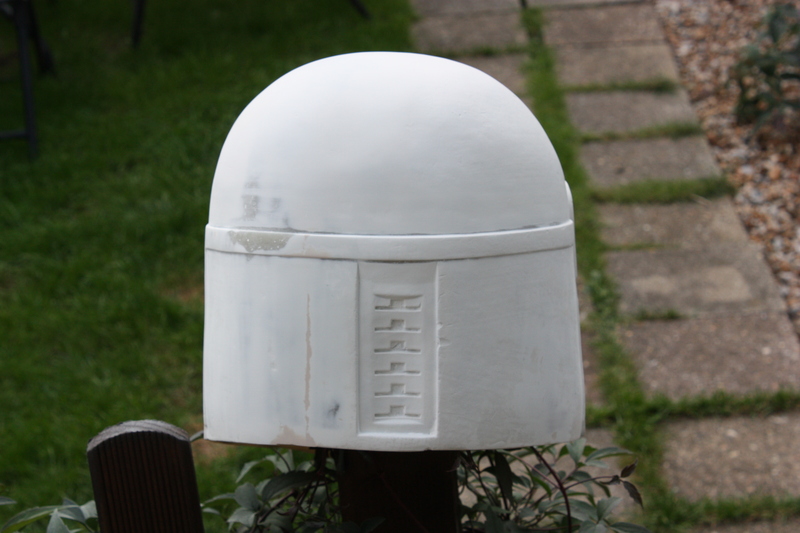 With a thin coat of white primer added. 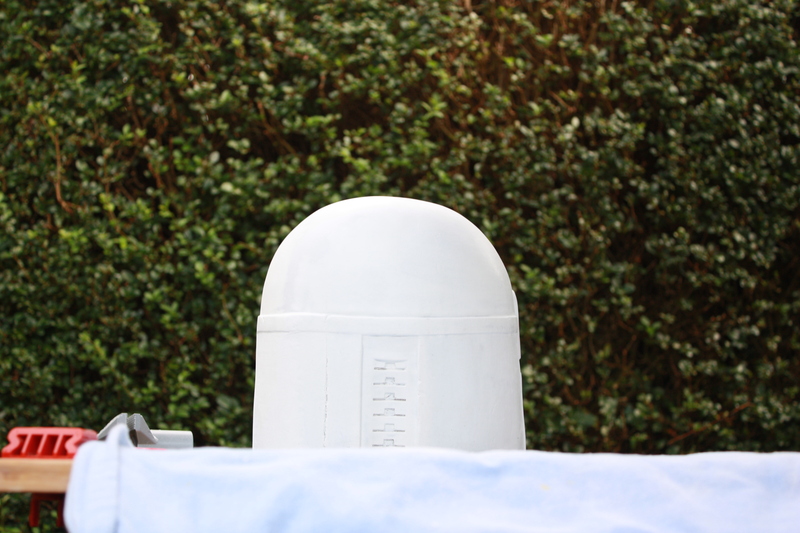 Later some tiny amounts of Milliput were added to even out some of the thin spots in the orbital band.